Dr. Martens Unisex Vegan Boot Chemical Exposure! 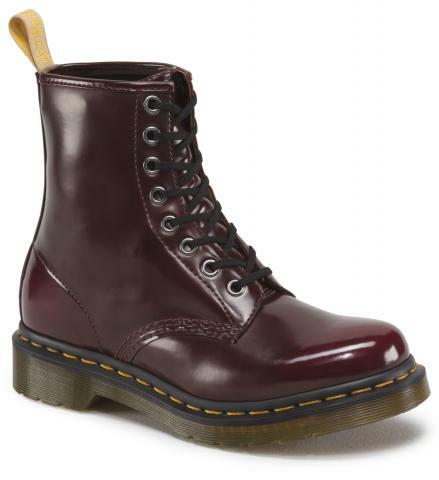 Dr. Martens unisex Vegan 1460 eight eye boots sold in cherry red with black shoelaces sold in all sizes, have been recalled!! The boots have a chunky sole and a golden heel pull tab with “AirWair” printed on it. “Made in Vietnam” and product code 14585 are printed on the tongue label with the batch code starting with “GV” and ending in Q, R or S.
Prolonged and direct contact with the boot tongue lining can expose the wearer to the chemical benzidine. Consumers should immediately stop using the recalled boots and contact Dr. Martens at 800-460-3930 for a full refund or free replacement product. Nutrilife H2O2 Fire and Burn Hazard!